How do I set my memory to 1600mhz, in bios it says that the maximum bandwidth of the memory is 1600mhz? It is currently running 1333mhz. Experience: Microsoft Certified Desktop Support Technician with over 10 years of experience. Where did you purchase the new ram? Or is this the ram that came with the computer? 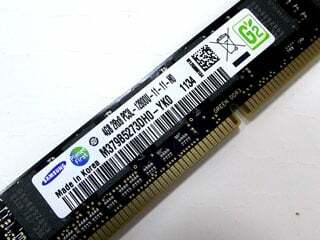 Why did you go from 1866mhz DDR3 to 1600mhz DDR3? why I dont have overclock level 3 in bios? displayed with an XE processor). where do you got timings when you dont have part number? so I must set it to 11-11-11-28? and set voltage to 1.35? are you sure about timings? and set all of the timing parameters. what about tRFC and command rate and fsb dram of memory? you think if I change from 1333 to 1600 it will still be worth it with those timings? Do you have the packaging that the ram was shipped in?